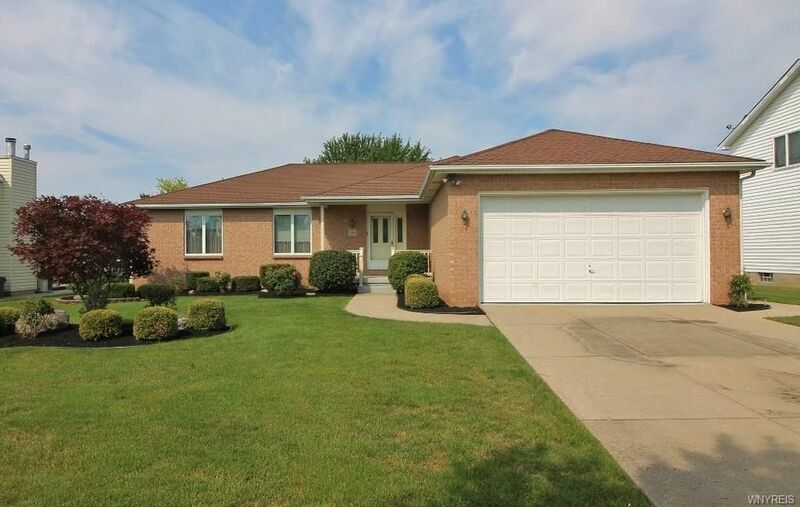 Impeccable 3 bedroom, 2 bath ranch on private cul de sac with lovely manicured gardens. Some features include, spacious open kitchen; walk in pantry/laundry, family room with gas fireplace. Large living/dining room combination. Hardwoods in all bedrooms. Partially finished basement includes canning kitchen and updated mechanics. Large deck with electric awning overlooks park like grounds.